View More In Gun Maintenance. 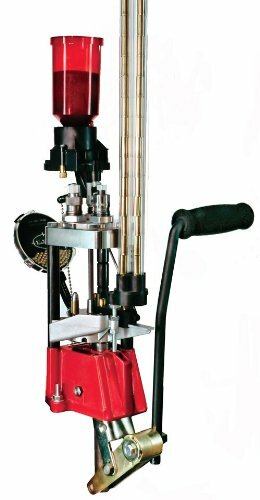 Lee Pro 1000 progressive 3-hole reloading kit for 9mm Luger includes press, dies (full length size, powder through expanding and bullet seating dies), turret, #19 shell plate, Pro Auto-Disk powder measure, small case feeder and priming system. WARNING: Only CCI or Remington brand primers are safe use with this press. If you have any questions about this product by LEE PRECISION, contact us by completing and submitting the form below. If you are looking for a specif part number, please include it with your message.